I do love poking around all the various color palettes, and colour swatch libraries currently available online. I frequently visit such established colour palette websites as ColourLovers for inspiration for new logo design, and other graphic design projects. 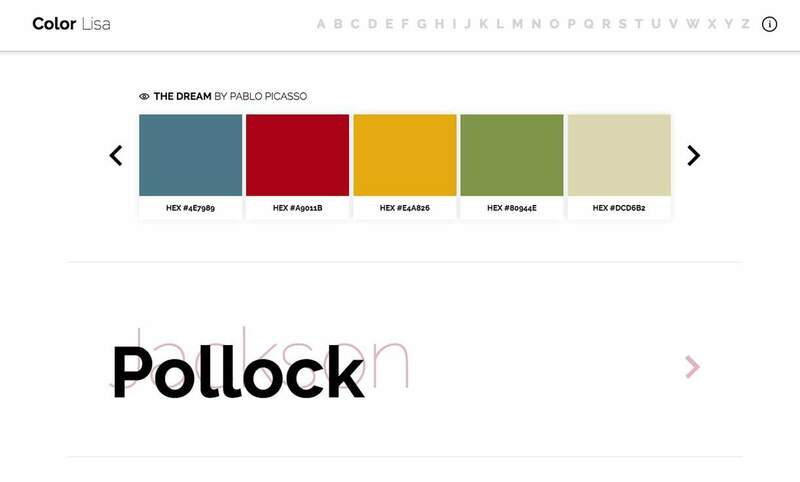 Color Lisa is a tasty variation of existing color palette and swatch libraries, based on painted masterpieces of the worlds greatest artists, for us Graphic Designers. 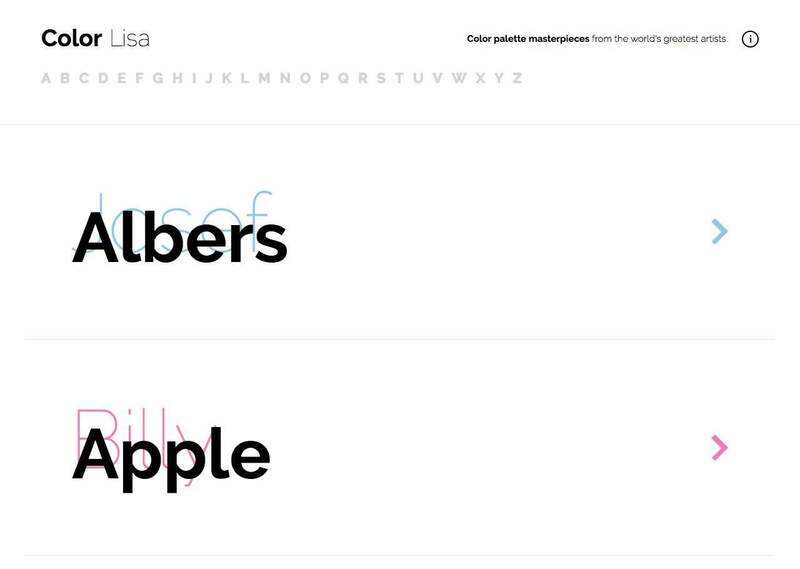 The Color Lisa website is simple enough to get around; there’s only one long page listing the artists from A-Z. 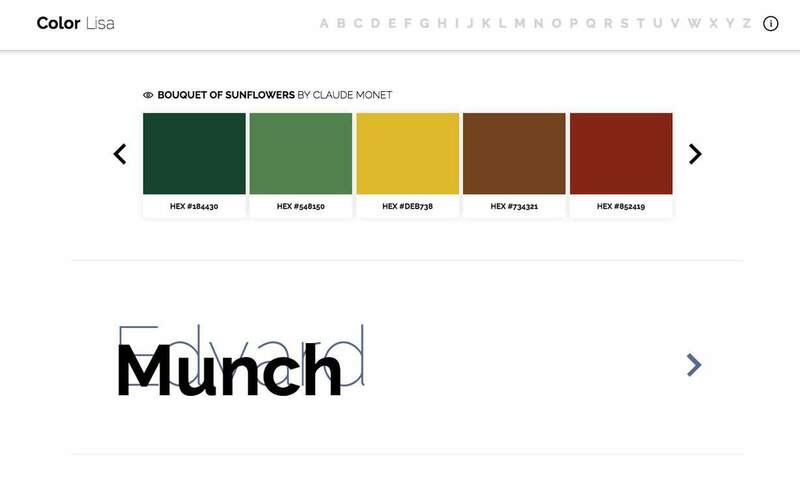 Click M in the top list of letters from A-Z, and you’ll jump down to Monet, for example. Color Lisa was made by Ryan McGuire, an artist, photographer, designer, and lover of color. Fun fact about Ryan: he drives a bright green (HEX #A5C955) and orange (HEX #E9AF42) 1971 VW Beetle he turned into a dinosaur. Questions, guest curator requests, and praise :) can be sent to ryan@colorlisa.com.